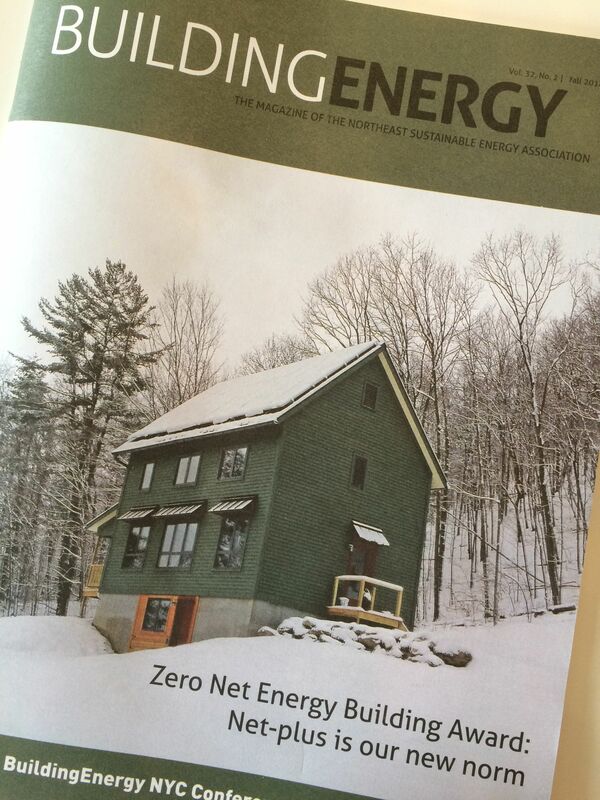 We’re on the cover of BuildingEnergy magazine! We’re on the cover of Building Energy magazine, Fall 2014. 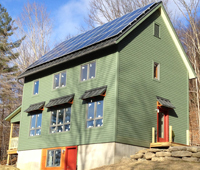 There is a description of the entries to the 2014 Zero Net Energy Building Award, and an article we wrote to go along with our entry. It’s not available online yet, but when it is, it should be available from the NESEA BuildingEnergy Magazine page. * Note to magazine editor, the last name is Burks, not Burk. The home is in New York, not New Hampshire. CFM stands for Cubic Feet per Minute, not Cubic Feet per Meter. Agreed, very sad for an energy focused publication. That’s a great shot of the house. Congratulations. It is great to see your efforts recognized.